South Florida’s ABIOTIC has a busy summer schedule ahead. 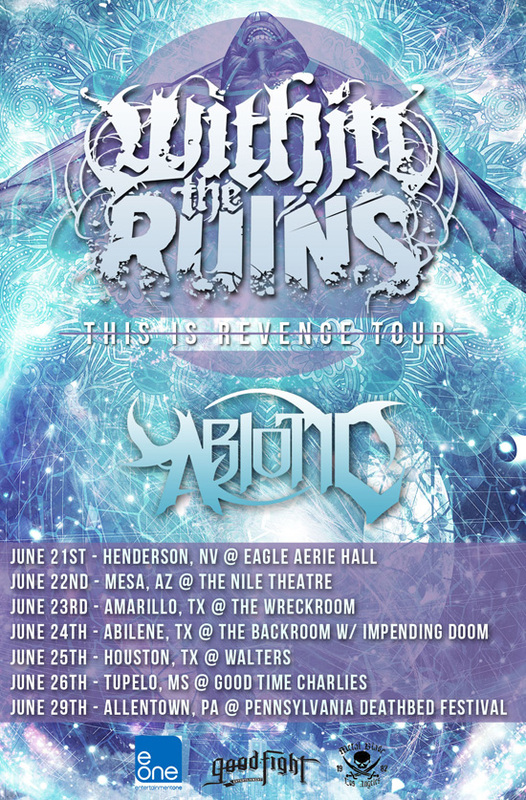 In addition to their previously announced dates with The Faceless, as well as being confirmed to open the July 29th Summer Slaughter show, ABIOTIC will join up with Within the Ruins for a string of dates this June. Fans can catch the bands together June 21-29 beginning in Henderson, NV and wrapping up at the Pennsylvania Deathbed Festival. For the confirmed list of dates, visit metalblade.com or facebook.com/abioticfl. ABIOTIC’s Symbiosis is available now. Fans can stream the music video for “Facades”, as well as order a copy of the album, at metalblade.com/abiotic.